What’s a pirate student to do when he must pass the Piratish Exam, but he can’t say “Arrr”? Quentin the Quick must figure out a clever way to pass the test, so he comes up with a fantastic, wonderful, crazy idea. It’s not the truth, but it’s not exactly a lie… But it backfires, and now Quentin must walk the plank. Hungry sharks wait below, ready to feast on a pirate lunch. Can Quentin save his skin and his pride before he becomes a shark snack? 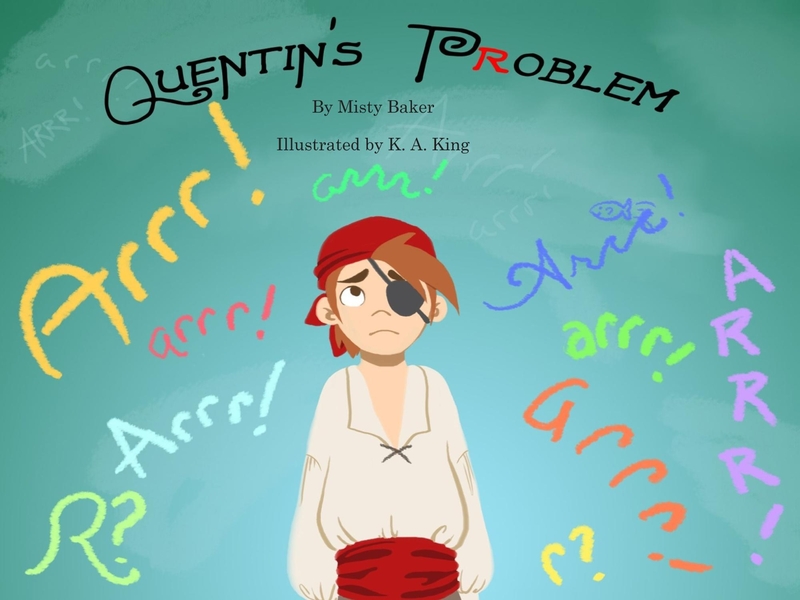 Quentin’s Problem is beautifully illustrated by K.A. King. It was inspired by my youngest daughter Zoe, who had trouble saying R when she started school. She feared that other kids would make fun of her, but I told her we all have things we struggle with, so if someone laughs at you, it’s their problem, not yours. I hope to inspire other kids who are struggling with speech impediments or other issues to never be ashamed of who they are, and to not be afraid to ask for help when they need it.